Former first minister Alex Salmond has been apprehended by Wimbledon security after being discovered in the Centre Court queue with a duffel bag full of contraband. Wearing a cap and large dark glasses, the ex-SNP leader was found carrying Rampant Lion fireworks, a Claymore, a referendum question and 1000 See You Jimmy hats. 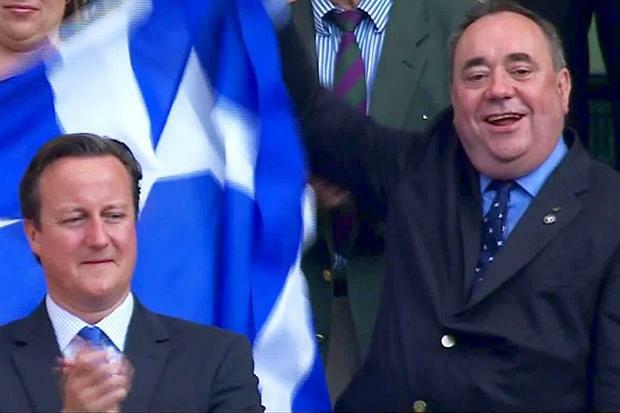 Wimbledon stewards said they believed Mr Salmond was going “to disrupt this dignified occasion with subaltern antics of low cunning”. After wrestling with security, Mr Salmond is alleged to have given up the duffel bag and ran away, stopping briefly to moon ticket-holders. “You haven’t seen the last of me,” he is reported to have said. A spokesman for the MP said: “Alec was wearing a cap and glasses to hide himself from the prying eyes that celebrity brings, even to this day.